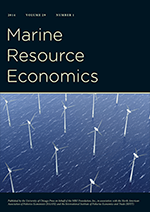 Environmental Economics: Is increasing marginal cost a zombie idea? Is increasing marginal cost a zombie idea? * The rising marginal cost theory is ridiculous on its face because it assumes that producers add one factor of production at a time — hire more workers, for instance, without renting more space for them to work. (This is exactly what Mankiw describes in his textbook; see “Thirsty Thelma’s.”) Voila! Each worker’s productivity declines. This is of course not what producers do, which is why only 11% of top-corporation execs say they face rising marginal costs of production. (I’m wondering if that 11% made the mistake of taking an intro econ class in college.) For a nice recap of that executive survey, and the faulty math of rising marginal costs, see here (PDF). I'm no engineer and, like Karl Marx, I have never worked in a factory. But I did have the exploited labor sort of job in high school and college. So I think I can weigh in on this issue. If you begin the production process with the sole proproprietor with no employees and add workers to fixed capital in response to increasing demand, it is easy to understand the law of diminishing returns. Flipping that relationship gives the marginal cost curve. Of course, that involves firms with limited pricing power but I'm willing to believe that exists for many firms in the U.S. economy. That is as far as I can go as I hesitate to dive into 80 pages of post-autistic math (click on PDF above). I'm not sure what to think of the Blinder survey results. Most CEOs and other execs of big corporations in the survey think that their marginal cost curves slope down.